Since the beginning of its existence AMU Foundation was actively involved in bookselling. 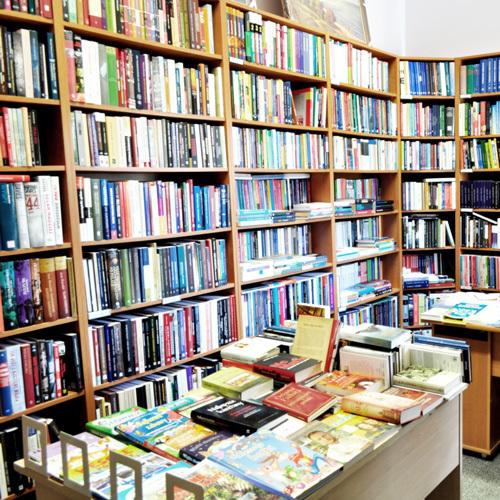 At present, we run nine bookstores located at various faculties of Adam Mickiewicz University in Poznań. The offer of each bookstore reflects the research profile of a given faculty. The bookstores are recognised both by the university staff and students, offering additional help in the process of learning and teaching. Cooperation between the bookstore staff and the faculties of the University makes it possible to adapt the offer to the current needs of the academia, mainly the researchers and students.